AWS re:Invent is right around the corner and I will be attending my first event as a member of the Gestalt IT team. 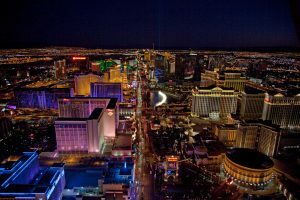 Believe it or not, this will also be my first trip to re:Invent, so I reached out to my friends in the community for their advice on how to tackle this monstrosity of a conference. NetApp HCI was never “hyperconverged infrastructure” in the classic sense, but that never mattered. HCI customers would be well-served by the product, and the company is marketing and developing it in a way that is consistent with what customers are coming to expect. 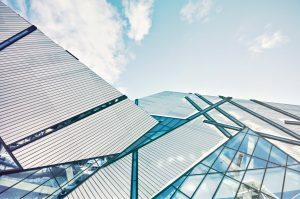 As customers move to converged and cloud solutions, NetApp wants to make sure they can keep them in the fold. 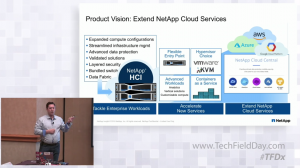 NetApp is in a unique position to integrate legacy, hybrid, and cloud storage, announcing their “Data Fabric” vision a few years back. Until NetApp Insight 2018, this all seemed like so much marketecture or vaporware. But the company is starting to make it happen, with real data services, orchestration, and management solutions coming to market. As I reflect on my time in Nashville for Commvault GO 2018, I am struck by the impact this conference must have had for Commvault, its partners, and its customers. Although not small by any means, this Commvault-centric conference benefited from the self-contained environment at the Gaylord Opryland, resulted in a more intimate environment. I saw many instances of deep connections developing between the company and the attendees, showing why their investment was well worth it! While we couldn’t be at HashiConf this year, we wanted to be sure to share some of the major announcements from the show. Aaron Strong wrote up a great recap, be sure to check it out. While Commvault has been around for 20 years or so, Commvault GO 2018 was their 3rd Annual conference. This year the theme is to “Picture the Possibilities” and they urged keynote attendees to “think different”. Let’s think about what we should be thinking differently about! 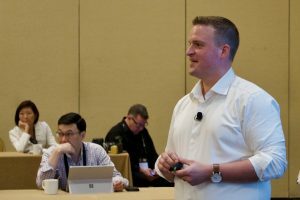 At Commvault GO 2018, Stephen Foskett found out about how Commvault is expanding and refining their service offerings. Welcome to the second part of the Commvault GO 2018 Keynote Live Blog! Stephen Foskett and Luigi Danakos are at the show, and they’ll be keeping you up to date on all the news and announcements. The live blog goes from 8:30a-10:30a CDT on Thursday, October 11. Make sure to follow on Twitter using #CommvaultGO. 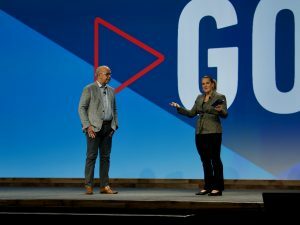 Welcome to the Commvault GO 2018 Keynote Live Blog! Stephen Foskett and Luigi Danakos are at the show, and they’ll be keeping you up to date on all the news and announcements. The live blog goes from 8:30a-10:30a ET on Wednesday, October 10. Make sure to follow on Twitter using #CommvaultGO. Commvault has a rich legacy in the data protection space. 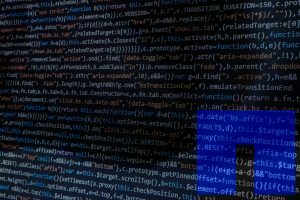 But rather than being held back by that history, the company is making smart plays to stay vital in the age of scale-out data protection with solutions like HyperScale. On the eve of Commvault Go 2018, we’re excited to see how the company will continue this trend. Sign up for Gestalt News! Who Do You Trust In Your Community? Intel’s Crossover Point: A 3D Spork? Gestalt – (noun) an organized whole that is perceived as more than the sum of its parts.